Spring forward into the beauty of a new season! Of course, Mother Nature really is the one in charge as we prepare for a first-day-of-Spring snowfall. But the crocuses are starting to pop up so can daffodils be far behind? If your energy has been off-kilter lately you can blame Pluto and Uranus. These two planets are squaring off to invite us to awaken and transform. And when you read the Moon News below you’ll see some other things going on in the heavens that can affect your moods and energy. I’m excited about a lot of fun events coming up. Be sure to save April 25 for the Bazaar! And we’ll be attending the Annapolis Film Festival at the end of the month. Will you? Welcome to all our new members of RosemarySpace! We’re happy you are here! There is a New Moon at 5:36 am Eastern Daylight Time (EDT). 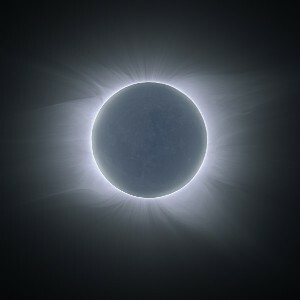 Then a Total Solar Eclipse at 5:45 am EDT. (People are flocking to the Faroe Islands to see the totality.) And the Vernal (Spring) Equinox occurs when the Sun moves into the sign of Aries at 6:45 pm EDT. “Q. How many fairy godmothers does it take to change a light bulb? A. Into what? The Spring Equinox is the start of the astrological year and a time of new beginnings, new growth, the emergence of trees and flowers and even longer days. What new desires or wishes are showing up in your heart? NOW is the time to plant them as seeds and watch them grow as the Moon grows in the sky from the New Moon/Dark Moon to her fullness in 2 weeks. Believe that the Universe is a generous and supportive place in which to live. I mean, do you really have a choice of living somewhere else? Think of the Universe as your Fairy Godmother, ready with her magic wand to grant your biggest wish. What would you ask for? Now is the time to ask! The Moon is shadowing the Sun for the solar eclipse so that we receive pure Moon energy, loving, emotionally-supportive energy. Take a moment now to reach into your heart and decide what you really want, what really matters to you. Now ask for it and also ask that you be shown how to move toward the realization of that dream. Dream – Ask – Act. That’s the process. Then be grateful for whatever the Universe brings you because it is in keeping with your highest good. What topics would you like to explore? I am working on a class schedule for the coming months and would love to hear from you! Dreams? Dowsing for Decisions? Spiritual Technologies and Tools? Let me know! I offer classes online as well as in person in Maryland and elsewhere so we can make it happen even if you live far away. This Spring I am extending the Hypnosis for Healers Class into Part 2. If you weren’t able to join us for Part 1 you can purchase the recordings and materials here [LINK] and then join us in person in Maryland for Part 2 [or get the recordings]. We’ll be doing a lot of practice with creating guided visualizations for specific purposes. If you work with clients, lead meditation, do any kind of visualization exercises, you’ll want to learn the techniques and tips in these classes! Take advantage of all this Energy of New and start something BIG this Spring! Rosemary’s “Two-Minute” Video for this New Moon: Happy Lunar New Year! The New Moon in Sagittarius appeared on Saturday morning, November 22, 2014 at 7:32 AM EST. That morning, shortly after the Moon was exactly conjunct with the Sun and newly in the sign of Sagittarius, I sat with my yarrow stalks and cast an I Ching Gua (a six line hexagram) to determine the energies for the coming month. And the result is an interesting one that I’ve been giving a lot of thought to. 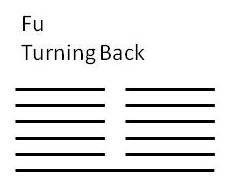 It’s pictured here: only one Yang line at the 2nd position. All the rest are Yin lines. And there are no changing lines; this is a stable, some might say “stagnant” energy for the month. My primary source for interpreting my I Ching practice is Taoist Master Alfred Huang’s The Complete I Ching. While most English translations of the Shi is “Army” Master Huang goes back to the older meaning, “Multitude.” In ancient China there were no standing armies. If there was a need for an army – only two reasons required one: defense against invasion and to overthrow a tyrant – military units were assembled from among the peasants who had some training in military action while they were idle during inactive farming seasons. I too prefer the older interpretation of the word and this Gua. For me this hexagram represents a community. Rosemary and I both have been writing and thinking a lot about community, how important it is for human evolution. Humans are social beings. We have survived and evolved through gathering together in groups of mutual support and aid. In our modern world we seem to have lost this concept. We have turned to a “dog-eat-dog” world of competition, everyone for themselves, “whoever dies with the most wins.” We also seem to have lost any recognition or respect for leadership. With the “me first” attitude so prevalent there is no trust of anyone who might propose a movement toward progress. This Gua, Multitude, speaks to this modern social dilemma. 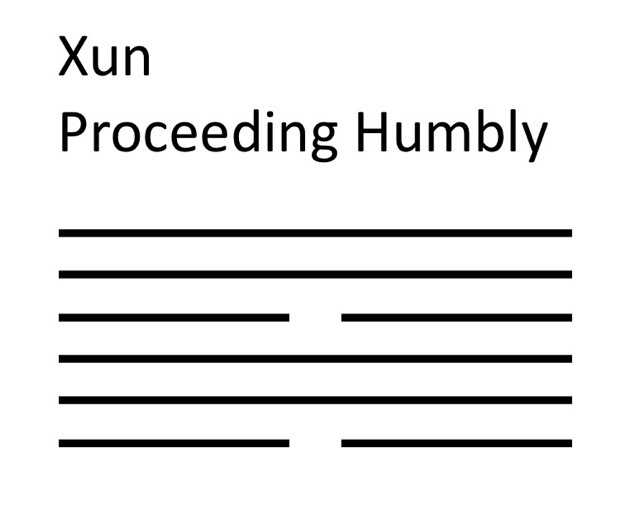 Note the second line is the only solid, Yang, or strong line in the hexagram. The Yin lines seem to pivot about this second line, the leader of the multitude. “He” derives his authority from the Yin line at the fifth position, a line representing feminine energy. There is excellent balance between masculine and feminine power in this Gua and the other Yin lines represent the community. Is able to bring peace to the world. What mistake should there be? Going out and coming in. In seven days comes the return. We look now toward Thanksgiving and the holiday season. Enjoy community. Find community. Build community. Thrive and evolve. The energies of this time support you! Many blessings and gratitude for you, kind readers! As I write the Old Moon has another day of life. We are about to enter another cycle of the Moon’s appearance to us as she orbits our world and the Sun. The Moon is exactly conjunct the Sun tomorrow, Saturday, November 22 at 7:32 am EST. And then we have a New Moon and the cycle repeats. I don’t know if you feel the energy of the Moon as she goes through her cycle each month. I sure do. And I celebrate this cycle and all of her phases to honor her, life and the rhythms we all experience. I have written many poems to the Moon. Today’s is a new one for you to tap and experience. With every pulse between them. To press on human drum. To nothing in the distant East. With her loss of limb. Loses her race with her Son. In his brightness, his sizzle. Side of the world – resurrected! Phoenix Moon is new. Blessing! For each new moon I cast an I Ching Gua – a six line hexagram of solid and broken lines (Yang and Yin) lines. I use the yarrow stalk method to derive the Gua. 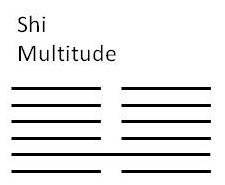 And I use The Complete I Ching by Taoist Master Alfred Huang as my main source to interpret the Gua. The new moon in the sign of Libra occurred last Wednesday, September 24, at 2:14 am EDT. I cast the Gua on that day to get an idea of the energies coming in for the month. The initial Gua is pictured here. 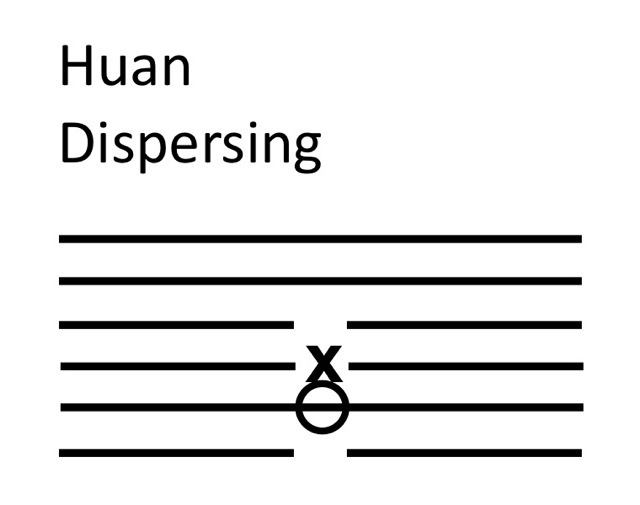 It is Huan which means “dispersing.” Huan is composed of two trigrams, Wind over Water (Xun over Kun). Wind can also mean Wood. The picture I get is of a wooden bridge spanning a large river. It is favorable to proceed, to cross the river. Notice there are two changing lines in this initial Gua. 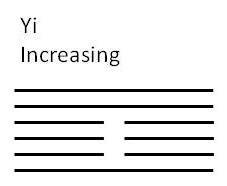 The second line (from the bottom) is a 9 (a weak yang line) and the third line is a 6 (a weak yin line). Master Huang suggests reading the yin line so the 6 changes to a nine yielding a new, accomplished Gua pictured here. The accomplished Gua is a double trigram, Wind over Wind, Xun, which means Proceeding Humbly. This means proceeding like a gentle breeze, which can go everywhere. It suggests using caution as we move forward. Proceeding with humility does not mean moving forward from a position of weakness, but from one of balance. There is no need to feel superior, nor is there a need to feel weak. Overall there is good movement forward after a period of dispersing of some energy. The changing line at the third position signifies a release of self-centeredness, selfish pursuits. When this third line changes to a nine it signifies it is auspicious to proceed from a position of both humility and strength. Now that we are moving beyond the Autumnal Equinox and into the sign of Libra, a time of balance, it is good to keep this balance in mind. Move into autumn gently, like a fall breeze blowing through the trees. And remember, there is nothing static about balance!